Possible monster storms could hit vulnerable areas around the world. As the U.S. was remembering the devastation caused by Hurricane Katrina 10 years ago, a new study warns about a possibility of an even more dangerous storm that could hit the Tampa area. As reported in the Washington Post, and a new study in Nature Climate Change, researchers from Princeton and MIT have demonstrated a computer model that shows there could be an event much worse than any storm in memory. Dubbed “grey swans”, a take-off on the “black swan”, an unpredictable catastrophe or impactful event, these storms are very unlikely to occur, with the odds at 1-10,000, or more. Still, Princeton’s Ning Lin and MIT’s Kerry Emanuel, say they want to raise awareness of the possibility of what a very impactful hurricane could be like. The scientists say the Tampa area is vulnerable because of a broad continental shelf situated off the west coast of Florida, which could lead to large storm surges and flooding. This could be accelerated by rising seas due to climate change. Tampa Bay was last hit by a major hurricane in 1921, and that resulted in 10-11-foot storm surges with devastating results. A storm in 1848 recorded surges as high as 15 feet. 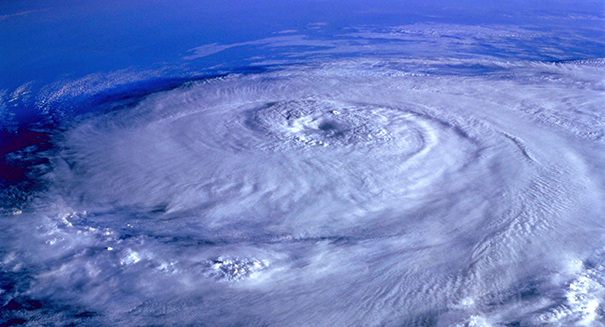 Given the current climate conditions, the researchers found that a strong Category 3 hurricane could produce surges as high as 19 feet. If current conditions continue to the end of the century, we could see 37-foot surges in a worst-case scenario, according to the study. The study was quite involved, generating 2.100 possible hurricane scenarios in the Tampa Bay area, using the current climate conditions. They also ran another 3,100 simulations for three time periods, 2206-2036, 2037-2067, and 2068-2098, using assumptions about the current rate of climate change. The study warns that areas around Cairns, Australia, and Dubai could see similar devastating results. The scientists say there is no immediate cause for alarm, since the likelihood of any of this actually occurring is extremely rare, citing a once in 10,000 year probability. But, they added, continuing climate change increases the chances.